Tonight we decided to have a family date night and take Noah swimming. This kid seriously likes the water! Afterwards we decided to grab dinner at my favorite restaurant, P.F. Changs. As you can see in the video, Noah makes a great (and very cute) third wheel! Being a husband, and a dad is seriously awesome. I love it…! Before Noah was born I heard so many stories about how hard life would be “post-kid.” Those stories were wack! 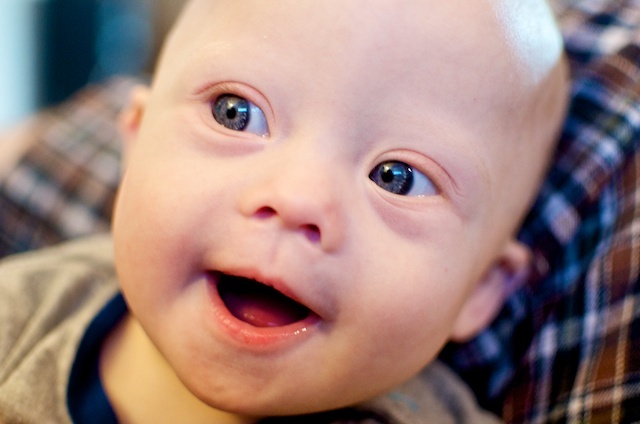 Then when Noah was born I heard a million more stories about how “tough” having a son with Down Syndrome would be. Those stories were wack as well! 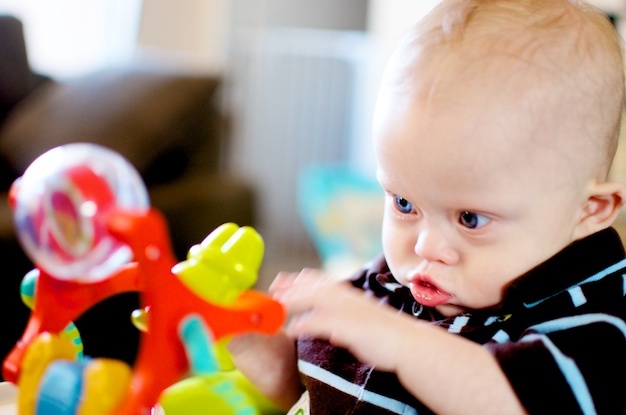 Having a son with down syndrome isn't so "tough" after all! Sure, we have a few extra things on our calendar then a typical family, but I wouldn’t define it as “tough.” I would define it as awesome! Is Fun A Priority In Your House? We like to have fun in this house! I can honestly say that even though our life has been a whirlwind since Noah arrived, our marriage has never been stronger. We make fun a priority in our house, and I love it! In fact, our home is my favorite place to be in the world. There are no words to describe how much I love my wife. She is an amazing wife, and an even more amazing mother. She loves God. She loves people. She is fun to be around. I just love her so much. She makes my life better. Much Better. Then there is my son…..I think this website gives you a pretty good idea how much I love that kid. If you’re married and have somehow stumbled upon this blog post, I hope fun is a priority in your house (and marriage.) I hope you’ve learned the importance of not taking yourself so seriously all the time. Life is to short for that. Most of all I hope your family is one that puts God first. I can say first hand that there’s no joy like the joy thats found in a home centered around the Triune God. What sort of things do you do in your house to make sure you keep fun a pirority? Chang’s Spicy Chicken and Mongolian Beef. Looks just like *our* date nights to P.F. Chang’s…. Awesome! We’ve been going there for a decade, and almost always order the same thing! Greatness shouldn’t be messed with. Very nice. Don’t care for the NBA, but happy that the season is over now. haha. He does get cuter and cuter every day. Thanks for sharing his life and yours with us. Brian, same here! I had no idea who The Mavericks were even playing until a few days ago when I overheard it. Thanks for all your constant encouragement and support. This little guy gets cuter every time I check in! Another great post Rick. I’m a bit envious we don’t have eateries like the ones you guys have, over here! Thanks so much! How did you find us!